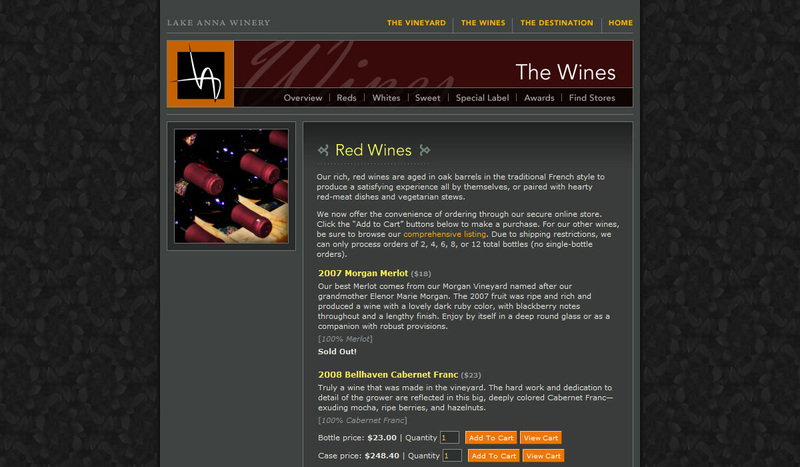 Lake Anna Winery makes award-winning wines in the heart of Virginia wine country. In addition to designing their logo and wine labels, we built their website focused around three areas: (1) the vineyard; (2) the wines; and (3) the destination. 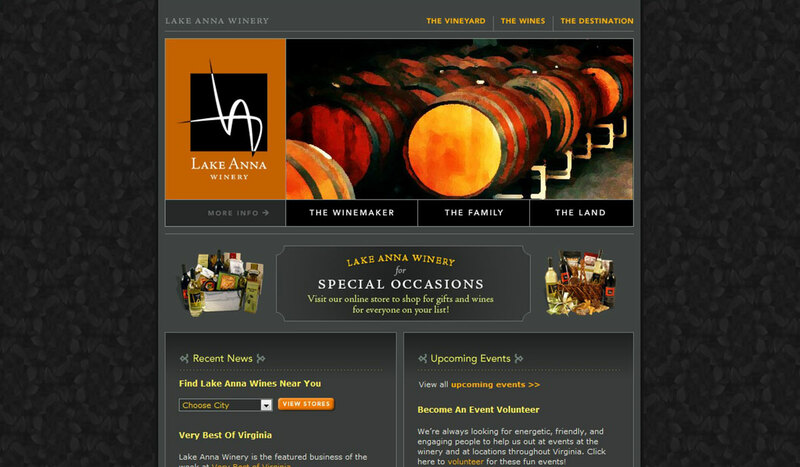 Lake Anna aficionados can now plan a trip around a winery visit, learn about the individual wines, and even order wines and event tickets online.